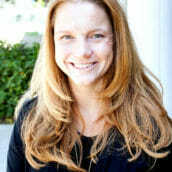 Krista graduated from CSULB with a degree in Liberal Studies. She has held a teaching credential for 19 years and has taught kindergarten and first grade. For the last four years, she has homeschooled her daughter. When not teaching, Krista enjoys spending time with her family, traveling and camping. She also lead a girl scout troop for the last four years. Krista discovered The Arbor Learning Community two years ago when she was looking for a literature circle to supplement her daughter’s homeschool reading curriculum. Since then, she has been thrilled with the variety of classes her daughter was able to take and growth she has seen. Now, Krista is looking forward to being part of this family as a teacher!